The venue alone is enough to bring people from far and wide. 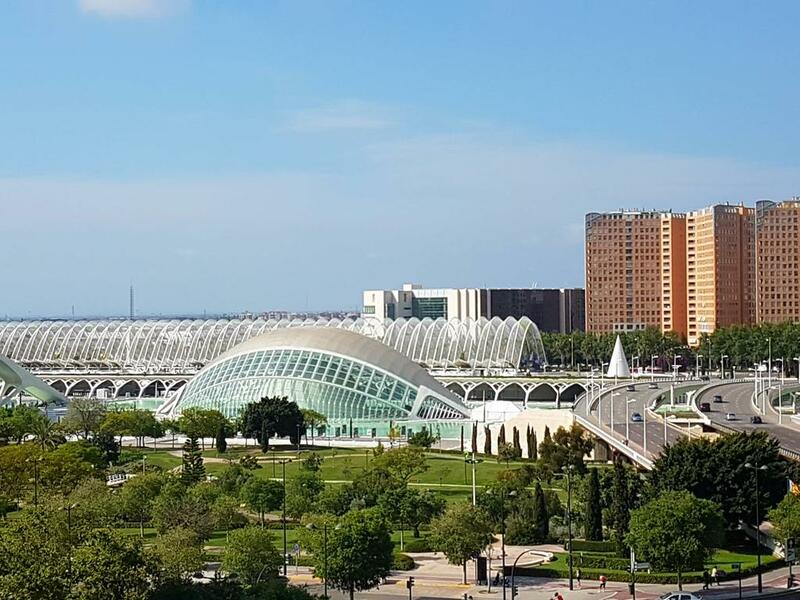 Conference goers had barely settled into their seats at The Inbounder 2016 when the Wizard of Moz, Rand Fishkin, was sharing the Ciudad de las Artes y las Ciencias with the world. The Inbounder has arrived in Valencia, Spain. And brought with it more than a thousand conference attendees and two dozen outstanding international speakers. Brainchild of acclaimed international SEO Gianluca Fiorelli, the conference is again making its mark amongst those in the sphere of digital transformation and culture. There are a lot of conferences for inbound marketers in Europe each year, but only two are guaranteed always to produce the most stellar speaking lineup any digital marketer could hope for. The other, which we’ll cover later in the year just happens to be headed up by the man easily the most popular speaker of Day 1, Marcus Tandler. We know how hard it is to keep up with all the slide decks coming out of a jam-packed session schedule, even if you’re there at the conference, learning all the latest from the best in the world. Even harder if you find yourself watching from afar. Worst of all is that moment somewhere down the track when you really need to share that one presentation you remember from The Inbounder 2016, but the presentation name, or maybe even the speaker’s name escapes you. No need to worry. As always, the team at Kangadillo is looking out for you, just as we did for Pubcon Austin. Bookmark this page and return here for updates. We’ll keep adding slide decks from The Inbounder speakers as they are released. And come back to Kangadillo later in the year as we pull together posts for other great conferences, including Big Digital Adelaide, SMX Advanced, SMX East, Pubcon Vegas, SEOktoberfest and State of Search. Just scroll through and find your favorites below. Are you ready to do business Kangadillo style? At Kangadillo, we partner with select clients to bring life to their digital marketing. Our holistic approach will take you from strategy, through a phased implementation plan, to measurable results. This approach isn't right for everyone, but it may be right for you, and the only way to find out is to reach out and say, "G'day y'all!" Waiting for the flight by Bill Dickinson is licensed under a Creative Commons Attribution 4.0 International License.